Description : All passionate travellers like me would agree that worthwhile hotel stays as well pay off well. 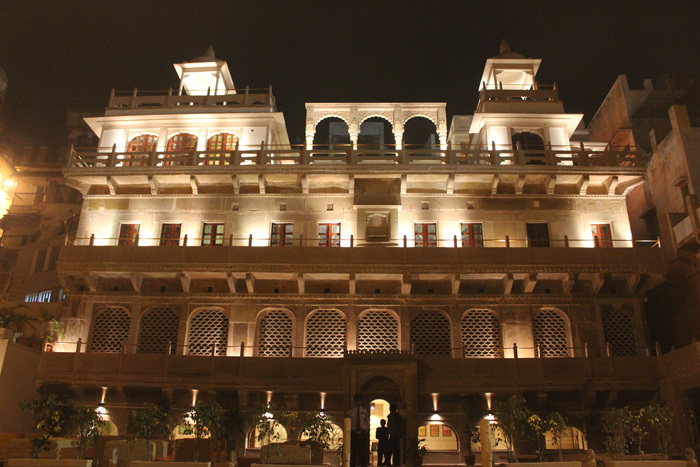 For a great stay when in Varanasi, opt for Hotel Meraden Grand. 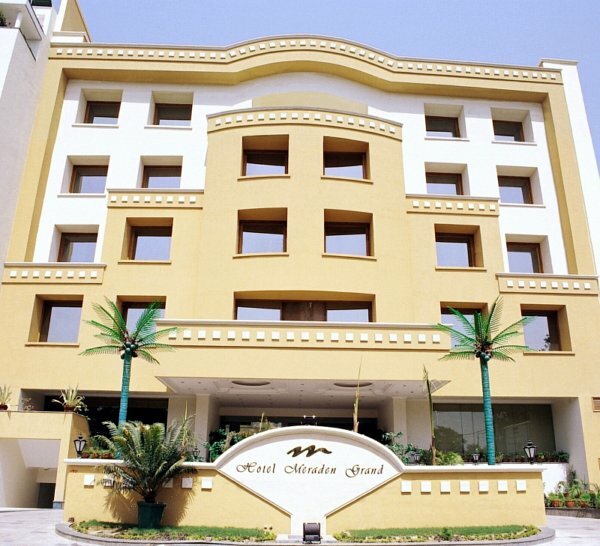 With high-end services and luxurious facilities, Meraden Grand treats you with comfort that in turn allow you to relax to the most so that you welcome the next day with great enthral. Ganga River Varanasi : An Unforgettable Ride In Gushing Holy River! My passion is photography and I love to travel with friend on a budget travel and our main motive is always to get into adventure tourism. This time I wanted to visit Varanasi, the holy city in India. I loved train travel and also like to stay in budget hotels and enjoy local food. I reached Varanasi and my first place of visit in Ganges. 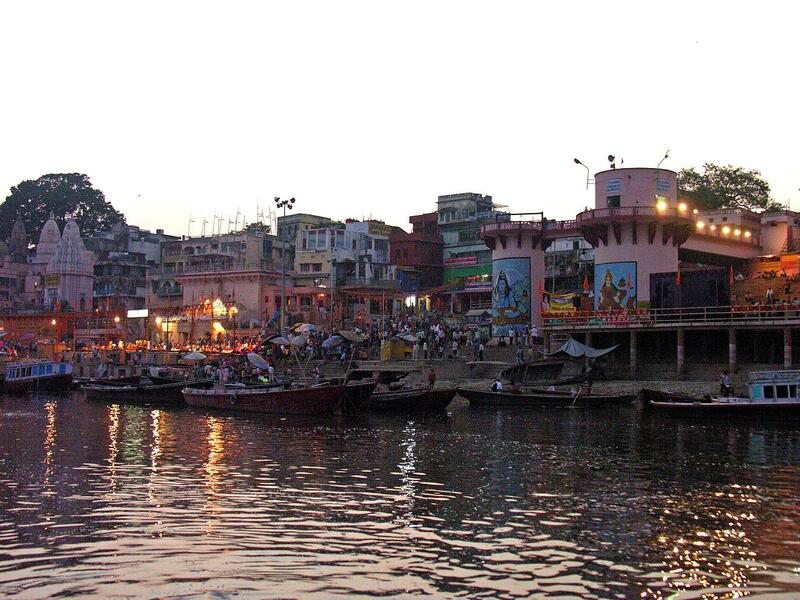 The Ganga flows through the city of Varanasi. I first wandered along the banks of Ganga. I, as usual had taken my camera along. During the stroll I could witness many interesting scenes and activities involving pilgrims. Though I took a lot of photographs, I felt that the view from the river would be more wonderful. I hired a boat for a ride. It was sunset and the sun slowly descended and disappeared into the Ganges – treat to a photographer. I clicked countless photos. The banks were crowded with people as the boat slowly moved towards Dasaswamedh Ghats. People waited for the Aarthi to begin with tiny lamps in their hands. At seven the Aarthi began with the sound of conch indicating the beginning. The place was instantly lit with lamps glittering along the Ghats. A group of pundits performed the ritual amidst singing and sound of bells. People lighted their little lamps and floated them in the Ganga as a tribute. After the sun had set and darkness had engulfed the lamps on the bank and the ones floating in the river were a treat to watch and click. After this scintillating experience, I decided not to miss the sunrise. I left my hotel room early at 4.30a.m and walked to the banks inhaling the fresh morning air. Surprisingly, the place was already busy. I again took a boat. The bright orange Sun slowly came out of the Ganges and moved up into the sky. My heart and soul was filled with contentment and I walked through the river to seek the blessings of Lord Shiva! Description : My trip to various places in the north gave me a wonderful opportunity to explore the Gyanvapi Mosque, Varanasi. 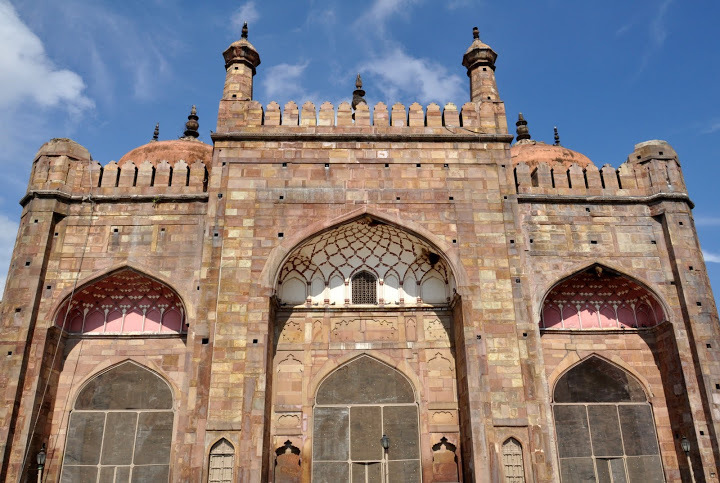 Also known as Alamgiri Mosque, it is one of the most famous heritage sites in my homeland Uttar Pradesh. The Gyanvapi Mosque is constructed by Mughal emperor Aurangzeb and it is located near Lalita Ghats along the banks of Ganges. 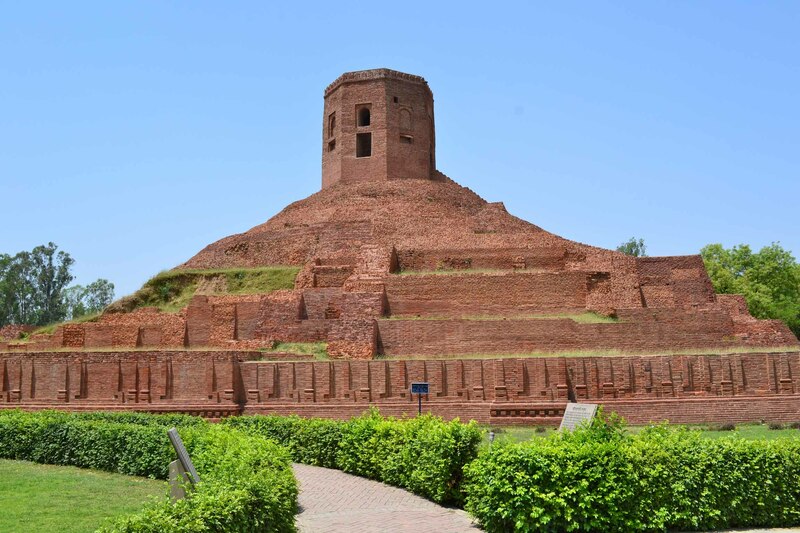 Chaukandi Stupa Varanasi : A Magical Journey To The Gupta Dynasty! It happened so that I got holiday for a week and I wanted to go on a tour. I always love to travel with friends but since my friends were busy, I decided to go alone. Since I always travelled to places related to adventure tourism, this time I wanted my trip to be different. So, I chose to visit Varanasi which is one of the oldest living cities in the world. I reached Varanasi by train and checked into one of the budget hotels. I had got some brochures from UP tourism counter in the Railway station. That day I wandered in the streets of Varanasi, finding the place to be a heaven for street food lovers. I decided to visit the Chaukandi Stupa and other places in Saranath. The Stupa is 12 Kms from Varanasi. Going to the place by bus was the cheapest option but it meant that I will have to take an auto to go around Saranath. This was heavy on my budget travel. I befriended one of the hotel staff and borrowed his bicycle by paying a small amount. I filled my backpack with adequate water and food. I got some Kachoris, jelabies and Puris for breakfast and lunch from a street side shop which my new friend had recommended. In order to avoid the sun I started by six in the morning. On the way to Saranath, I crossed many villages and of course I took photographs of the locals on the fields and children attending school under a tree. The Chaukandi Stupa is situated like an entrance to the holy Buddhist town. The Stupa has been built during Gupta period and It is said that Buddha initially met his pupils and started his spiritual sermonize here. The Stupa is octagonal in shape built on a rectangular mound built of red sandstone. After viewing the Stupa, I cycled around Saranath covering all other places of importance and went back to return my bicycle to my new buddy! 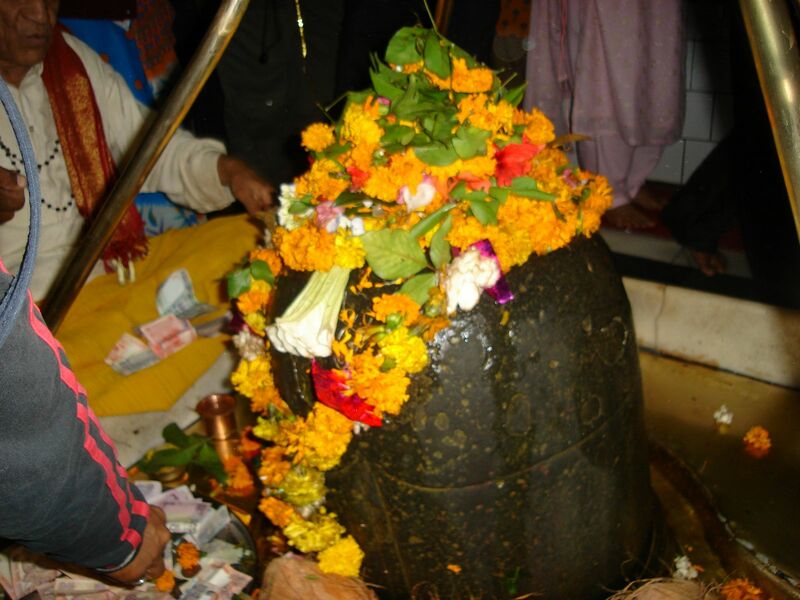 Kashi Viswanath Temple Varanasi : Soul Cleansing Experience! I don’t know what made me to visit Varanasi and I strongly feel it is a divine force which made me to plan a budget travel and to lodge in budget hotels to spend the entire vacation in Varanasi. For a person seeking adventure and expeditions, the visit to the temple seeking the blessing of Lord Viswanath was a different feeling. Situated in the banks of the Ganga in a narrow lane known as Viswanath lane, the walk to the temple from my hotel through the numerous lanes and gulley of kashi was like going on a treasure hunt. On reaching the temple I realized why millions from all over the world thronged the temple, seeking benediction, spiritual peace, liberation from bondages of maya inexorable bindings of worldly life. This can be only felt on entering the temple and cannot be put in words. The origin of the temple dates back to the epics of Ramayana & Mahabharata. However, the original record about the builder of the temple is in 490AD. 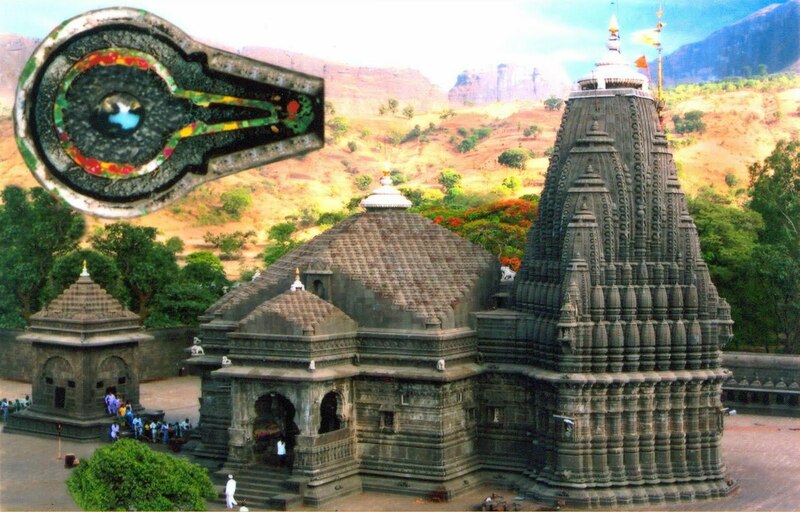 This temple has a deep rooted history which boasts of the greatness of Lord Shiva and the devotees who followed him. Though, my interest lies in adventure tourism like mountain climbing, trekking and camping, this place brought the spiritual person in me and I indeed enjoyed this different experience altogether. The view of the domes was a treat to my camera lens and every pillar kindled the photography hunger in me. The temple housing Lord Vishveswara-ruler of Universe consists of a Mandapa and sanctum besides subsidiary shrines. It was a divine experience to get a glimpse of Lord Jyothirlinga set on a royal silver altar. I had the blissful experience of performing abishek with the holy water from Ganga. On the southern entrance are the temples of Lord Vishnu, Virupaksha Gauri and Avimukthi Vinayaka in a row. The Nelakanta temple has five lingas and another linga is in the Avimuktheshvara temple in the right of the temple. The temple, one of the Sakthi Peetams, has the shrines of Goddesses Annapoorani and Vishalakshi. This trip was a truly divine experience to say the least! Ramnagar Fort Varanasi : The Pride Of Varanasi! Being a nature lover and wildlife enthusiast, I love to travel with friends to adventurous places and spend my trip in camping, mountain cycling and trekking. But this time I wanted to explore the architectural beauty of India. After a quick thought, I decided to visit the holy land Varanasi. My tour to Varanasi would have been incomplete had I missed the Ramnagar fort. Located in the opposite banks of Ganga, many miss this place due to the travel time and route. But I had a wonderful experience walking to the place by crossing the river by the temporary wooden bridge, built on floating drums, avoiding the longer route on main bridge by auto or rickshaw. The fort built with yellow sandstone, by Kashi Naresh Maharaja Balwant Singh in the 17th century, stands majestically on the banks of the Ganga. 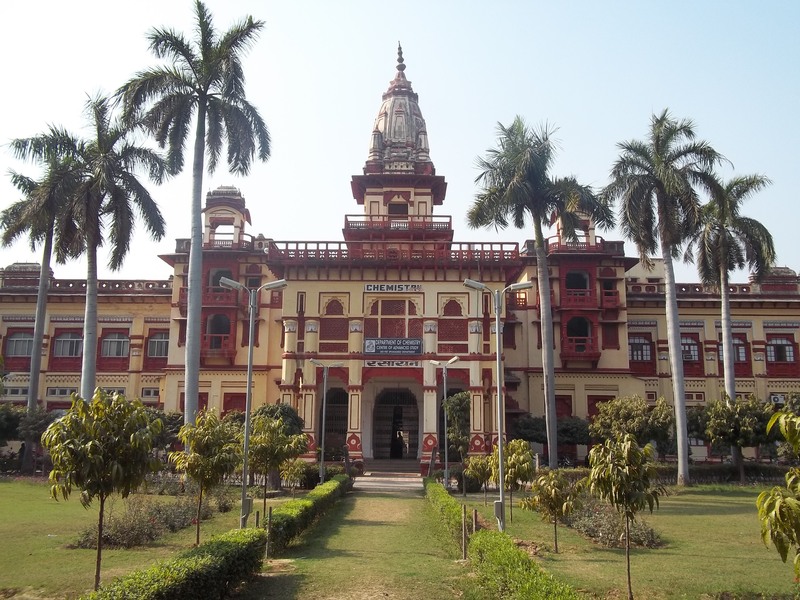 The ancestral home of the Maharajas of Kashi, still is the home of the present Maharaja of Kashi. The Portion of the palace where the royal family resides is not for public view. But the rest of the fort itself is a treat to the tourists. The Durbar hall, constructed with marble stone, is a blend of Indo-Islamic architecture. No wonder the arched balconies, vast courtyards and gorgeous pavilions have pulled many filmmakers to shoot their films. The Palace houses a museum known as the Saraswathi Bhavan, has many Royal collections. The vintage cars, Royal palkies, array of ornate palanquins gold plated howdhas speaks of the royal life style. But I was most fascinated by the collection of swords, armory and old guns. Antique clocks, Jewelry, paintings, Photographs and ivory works are also on display. This place was indeed a treat to my lens and I clicked beautiful images of the entire fort and the surroundings. There is a temple dedicated to Vedavyasa, the author of Mahabaratha who as per legend is believed to have lived here for some time. A big clock, the Dharam Ghadi, is a wonders which shows time, day, week and month but also gives astronomical facts about the sun, moon and stars. The month long Ramleela festival during Dusshera, which takes place in the narrow lanes behind the fort and the Rajmangal- procession of boats from Assighat to fort in Phalguni with dance and music is a visual treat. But what impressed the environmentalist and the photographer inside me was the view of the Ganges from the top of the fort.